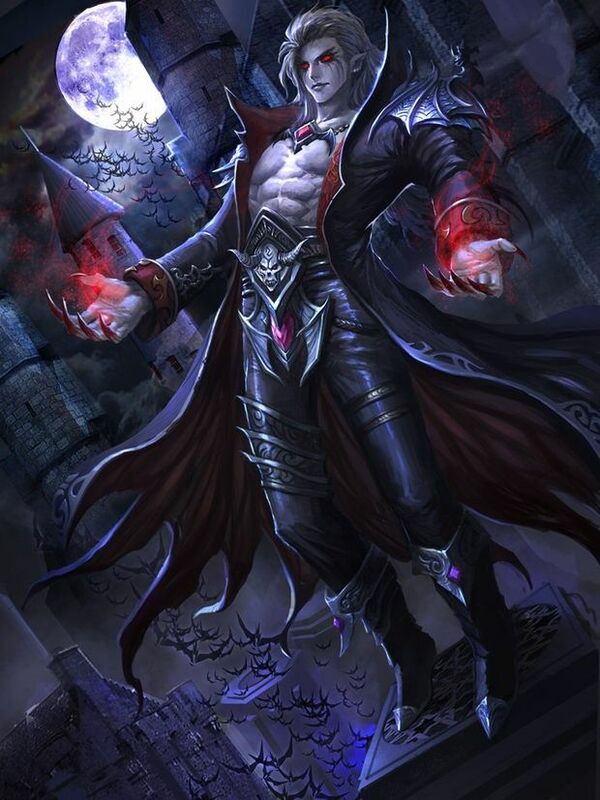 New Hero Idea : Jack | Vampire King(Fighter) - Creative Exchange - Mobile Legends: Bang Bang - Powered by Discuz! .when you stay in the same place more than 3 second then you will summon Ghastly Cloud in area last for 2 second which give you 20-40%(depend on level)chance to avoid enemy's attack. .passively when you kill target with this skill then you gain 1 blood stack with max up to 10 stack, every blood stack gives this skill extra 20/25/30/35/40/45+(25% total physical damage)physical damage, lose all stack when you die. .when target die you also convert them into vampiric bat to fight for you last for 10 second, you can summon max up to 5 bat, they will fly arround follow wherever you go, cant be targeted, and feast on random nearby enemy which deal 10/15/20/25/30/35+(25% total physical damage)physical damage. .activate to leap on nearby enemy to feast on their blood which deal 250/300/350/400/450/500+(100% total physical damage)physical damage and heal your hp the same ammount. .target a direction to transorm you into a horde of bat that flying to targeted direction with max speed then transform you back into your real form on arrival which deal 100/175/250/325/400/475+(100% total physical damage)physical damage and confuses nearby enemy for 1 second. .you cant be targeted when transform into a horde of bat. .activate to make your attack to deal extra damage equal to 5/7.5/10% current hp of attacked enemy, heal your hp same ammount, and slow 20% of their movement last for 1 second. .this buff last for 5 second. -so..this is taste of yours ?? Kinda like alucard but i see this is a bit different. More focused on vampiric abilities. Very good concept hero i like it. Please submit this to in game customer support as a suggestion as well. Thanks.